When tackling a registry I wanted to keep my registries to 1-2, but wanted to get all the adorableness from Etsy, practicality of Amazon, and ability to register for Land of Nod, Ikea etc. Enter Babylist! You can add items from anywhere + you can add favors like home cooked meals! Both mobile and desktop versions are easy to use and install. It's a must for any mommas to be that want something more than the traditional garb. 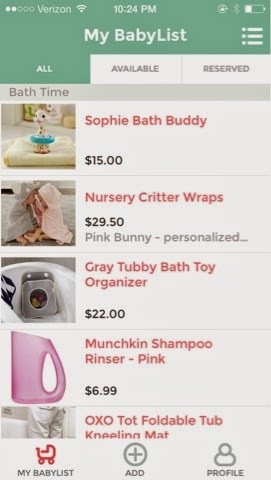 Here's a peek at my Babylist + I have one at Buy Buy Baby.